Amy and Tim ringbinder notebook from ATO Recover. There are a total of 60 ruled pages. 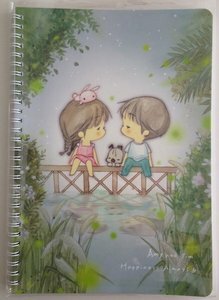 This notebook is perfect to be used as a diary, journal or for school.